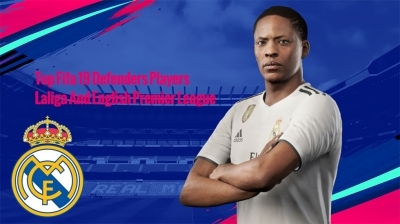 Short Pass/Header X A A "RMB"
Lob Pass/Cross/Header ▢ X X "s"
Through Ball △ Y Y "a"
Shoot/Volley/Header ◯ B B "LMB"
No Touch Feints R1 + L RB + L RB + L "LShift" + "Mouse Movement"
Low Shot/Downward Header Shot ◯ + Tap ◯ B + Tap B B + Tap B "d" + "LMB"
Threaded Through Pass R1 + △ RB + Y RB + Y "d" + "a"
Protect Ball L2 LT LT "w"
Lobbed Through Ball L1 + △ LB + Y LB + Y "Lshift" + "a"
Driven Lob Pass/Cross R1 + ▢ RB + X RB + X "d" + "s"
High Lob / Cross L1 + ▢ LB + X LB + X "LShift" + "s"
Low Cross ▢ + ▢ X + X X + X "s" + Tap "s"
Scoop Lob L2 + ▢ LT + X LT + X "w" + "s"
Call for Support R1 RB RB "d"
Cancel L2 + R2 LT + RT LT + RT "w" + "RMB"
Flair Pass L2 + X LT + A LT + A "w" + "LMB"
Flair Shot L2 + ◯ LT + B LT + B "d" + "RMB"
Driven Ground Pass R1 + X RB + A RB + A "r" + "Mouse Movement"
Let Ball Run R1 + direction RB + direction RB + direction "d" + "Mouse Movement"
Slow Dribble L1 + L LB + L LB + L "LShift" + "Mouse Movement"
You should be familiar with most of the controls in attack, but there are few little tricks that can help you bang in more goals. 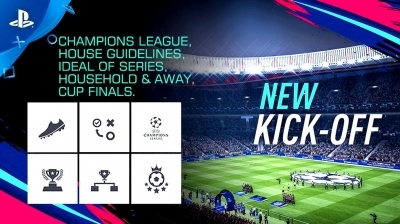 The threaded through ball (R1 + ▲/RB + Y) is another game changer on FIFA 19, allowing you to put the ball beyond the defence and enabling your attackers to run on to the ball at pace. If you are looking to knock the ball around longer or at a quicker pace, using driven ground pass (R1 + X/RB + A) ﻿can help you zip the ball between your midfielders and full backs. 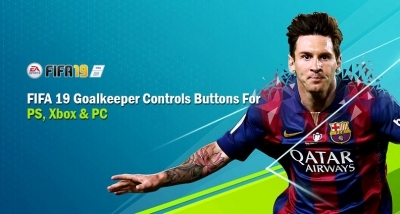 Finesse shot and chip shot have become FIFA staples, but mastering the low shot/downward header (O + tap O/B + tap B) is much more tricky. You must power up your shot and then tap shoot again to pull it off, so it may take you some time in arena mode to master it. 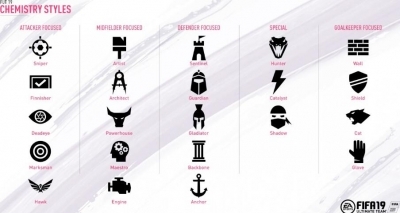 Crossing has been updated for ﻿FIFA 19, so you must identify which type of delivery is best in different scenarios. If you have men arriving late, use the high cross (L1 + ■ /LB + X) ﻿so they have more time to run on to the ball. If your forward is in-line or ahead of the defence, use driven cross (R1 + ■ /RB + X)﻿or ground cross (■+ tap ■ /X + tap X)﻿﻿. L1 + X/LB + A will cause your player to pass and move, with the threaded through ball (R1 + ▲/RB + Y) giving your teammate more yards to run onto the ball. 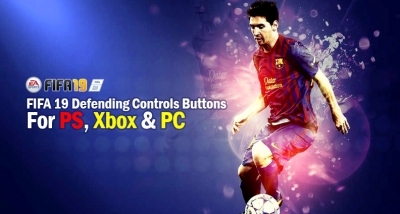 U4gm offers complete FIFA 19 controls and buttons for Playstation, XBox and PC. 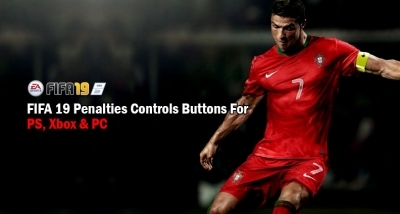 Includes basic and be a pro controls. 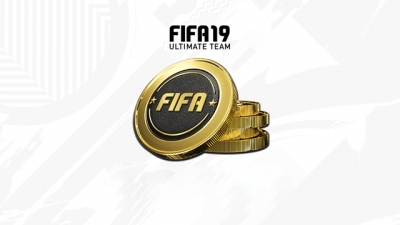 U4gm also offers cheap FIFA 19 coins. 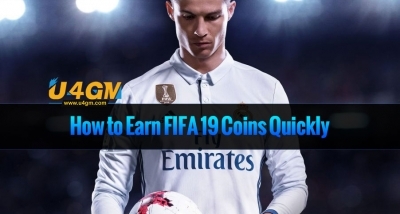 We offer fast, legit and reliable services for you to Buy FIFA 19 Coins that can help you build an unbeatable FIFA team. So if you remember in our other penalty tutorial we showed you about the kick takers head moving from side to side.